A heartfelt congratulations to Mercedes Eng, whose Prison Industrial Complex Explodes received the Dorothy Livesay Poetry Prize on Friday, May 4. The impetus for Prison Industrial Complex Explodes was the discovery of a cache of Eng’s father’s prison correspondence: letters from the federal government stating their intention to deport him because of his criminal record; letters from prison justice advocate Michael Jackson advising her father on deportation; letters from the RCMP regarding the theft of her father’s property, a gold necklace, while in transport to prison; letters from family members and friends; letters from Eng and her brother. 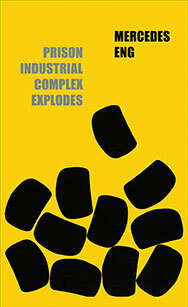 rob mclennan calls Eng’s book “incredibly powerful and intimate” and we tend to agree.